Notice the the screen is starting to rot away. Bat guano is pretty corrosive. 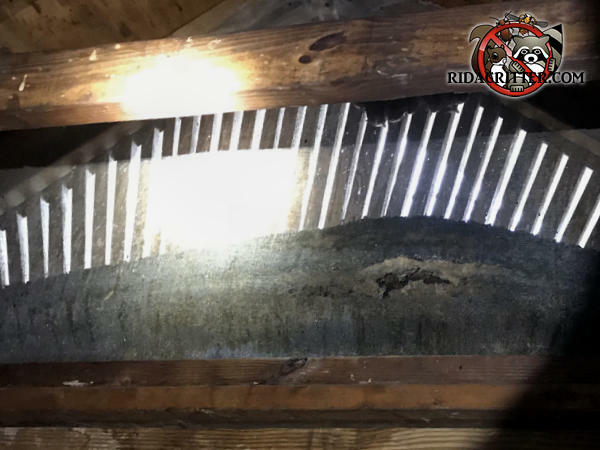 To learn more about humane bat removal and bat-proofing in North Georgia, please click here.